For those of you who have been waiting for Minecraft in virtual reality, your wait is finally over. Oculus recently announced that Minecraft for Gear VR is now available for download in its store for US$6.99. 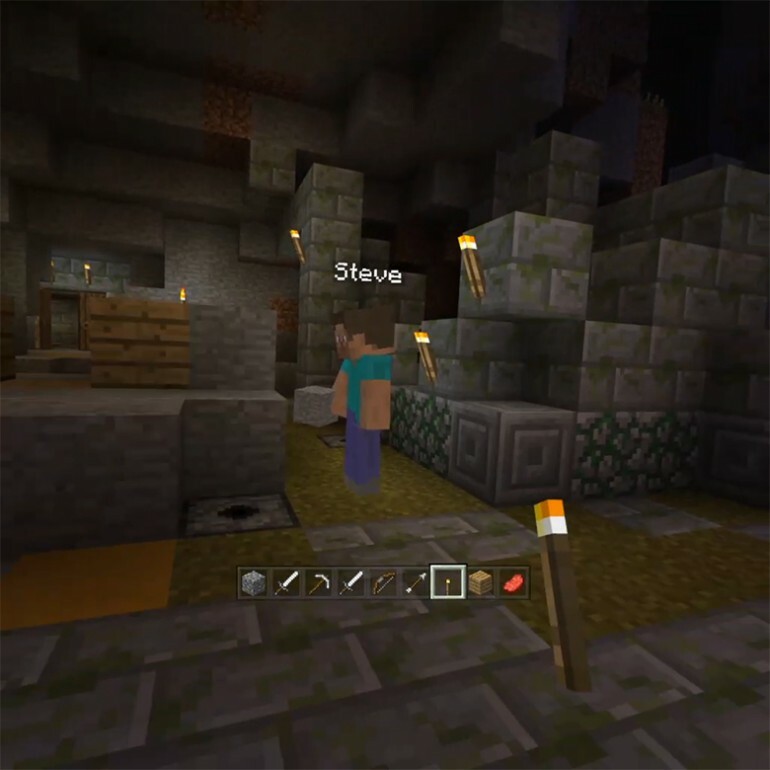 Called “Minecraft: Gear VR Edition”, the game now allow players to step inside the Minecraft world with friends, and build, explore and battle as if you are in the game itself. Feature wise, Minecraft: Gear VR Edition is similar to Pocket Edition, including Creative and Survival modes, skins, and multiplayer. You can opt between the more comfortable theatre view, or the more intense and immersive first-person view. “Minecraft is a game that you can both figuratively and literally lose yourself in. In fact, my strongest memories of being inside VR are from the time I’ve spent exploring Minecraft on Gear VR. Experiencing it in virtual reality changes it from an abstract activity to a visceral one – it goes from a sense of playing the game to one of being inside your world, and spinning around to find a creeper sneaking up on you leaves a powerful impression. Infinite worlds have been explored, shaped, and shared by millions of people, and now in VR; that sounds a bit like the fabled Metaverse.” – John Carmack, CTO of Oculus. Don’t be too excited yet though, in order to get the game, you will need a separate Bluetooth gamepad first. Once you have it, head on to the Oculus store on your Samsung Galaxy device to purchase the game.